Summer is the perfect time to explore athletics at New Hampton School! New Hampton School offers athletic summer camps to develop technique and experience the expertise of coaches from New Hampton, New England, and around the World. For 38 years, the Northeast Football Clinic offers EXCLUSIVE concentration on Quarterbacking/Receiving & Lineman/ Linebacker positions, instructed by skilled coaches, including New Hampton’s own Ed Kiley, who have achieved measures of greatness both as players and coaches. Sua Sponte comes from the Latin term “of their own accord”. Our lacrosse and leadership camp is designed for highly motivated individuals to get better not only at lacrosse, but in their every day lives. 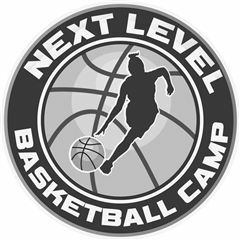 The Next Level Basketball Camp is in it’s 15th year and second on the New Hampton School campus. Lori Gear McBride (UNC) and New Hampton School’s own Brett Benzio (Tulane) alongside Division I players, coaches and former professional players deliver individual skill development and all-around athletic growth with a proven model that puts players first. Boston University Coach and former professional player, Francis Okaroh offers top-notch instruction on the technical, tactical, physical and mental aspects of the game through video, discussion, coaching sessions, small sided games, and full field competition. NHS Alum, Mo Keita '00 and his team delivers top level soccer training and instruction, guiding players to attain their maximum potential using the same soccer training techniques that have produced some of the sport's greatest and most skilled players. The low player-to-instructor ratio assures that all players will receive individualized instruction.